Do you have problems committing to a single task at a time? Not being able to accomplish a task? Constantly losing focus? Or managing your time management? 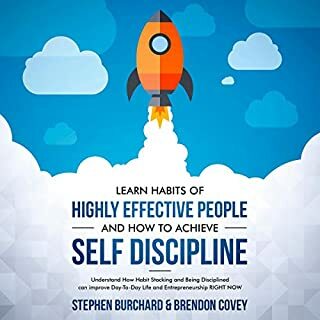 If you do, within this audiobook, multiple successful people shed light on how they managed to overcome these situations and more. The Motivation Manifesto is a pulsing, articulate, ferocious call to claim our personal power. 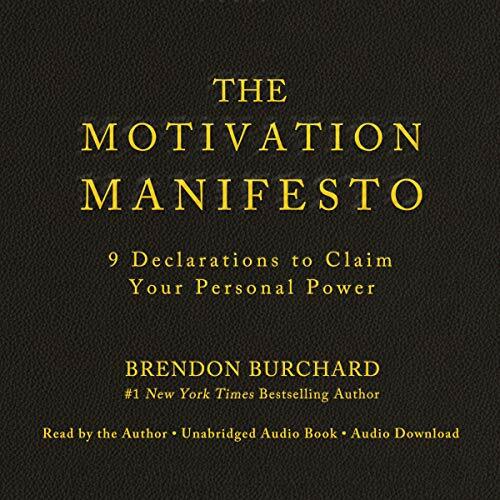 World-renowned high performance trainer Brendon Burchard reveals that the main motive of humankind is the pursuit of greater Personal Freedom. We desire the grand liberties of choice - time freedom, emotional freedom, social freedom, financial freedom, spiritual freedom. Only two enemies stand in our way: an external enemy, defined as the social oppression of who we are by the mediocre masses, and an internal enemy, a sort of self-oppression caused by our own doubt and fear. The march to Personal Freedom, Burchard argues, can be won only by declaring our intent and independence, stepping into our personal power, and battling through self-doubt and the distractions of the day until full victory is won. Recalling the revolutionist voices of the past that chose freedom over tyranny, Burchard - at times poetic yet always fierce - motivates us to free ourselves from fear and take back our lives once and for all. This audiobook sounds like one very long graduation speech. Nothing new or inspirational. It makes a great effort, but it's not for me. Written like a poorly translated collection of Japanese motivational aphorisms that are obvious, and nowhere near as emotive as they were meant to be. Obvious content, stilted delivery, could've been abridged to about 17 mins of eye-rolling. Save your time & money. Credit to the author: he has a productivity system called The One Page Planner. It's so simple and brilliant, and it works; this was the reason I unfortunately bought this digital paperweight for my ears. I lost interest in this book. I listen to and read a lot of books like this, but this was a lot of poetic fluff rehashing other people's topics, except they were more to the point than this author. People seem to like it, it just didn't do it for me. What would have made The Motivation Manifesto better? Building context through a story instead of just pronouncing orders. A more practical book, with clearer and precise contextual advice and formulas. 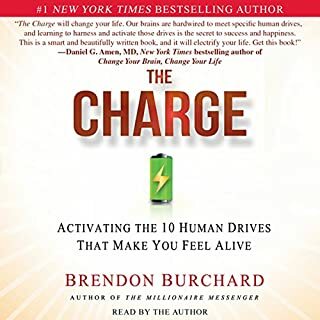 What aspect of Brendon Burchard’s performance would you have changed? Not sure, the performance was OK.
What character would you cut from The Motivation Manifesto? Not sure, there weren't any characters to start with. Very demotivating and an old school style of motivation through fear and anxiety. I'll never forget the first time I listened to a book by Tony Robbins. Perhaps it was Awaken the Giant Within, or something like that. It stressed me out, and I remember having this feeling of mediocrity. As if Tony wanted me to be like him – or run an IRONMAN triathlon – to be proactive and energized and buzzed-up enough. 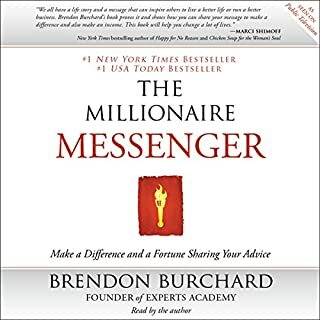 Tony Robbins was/is Brendon Burchard's mentor. They're friends, and it shows. Brendon seems to have a good heart, but I doubt his integrity when he goes down the bestseller-manipulation route. Should be no reason to do that. Borderline fake reviews of this book are plentiful on both Amazon and on Audible. Do I disagree with the books content? No, not really. It all sounds well-intended, meaningful, and to many; downright obvious. Stoic values throughout, though. Anyone looking for a Motivation Manifesto. Is that you? I guess it is if you're addicted to Tony Robbin's books, and never do anything to live your dream. Hmm, that's not me. But at least the title of the book doesn't lie. from start to finish Brendan held my attention, and invited my actions to the principles he taught in this book. They are nothing new, but profound and life changing if you take the time to really listen and apply them. Knowledge is only Power if you act on it, and Brendan is a perfect example of the power that creates in life! This is the most boring book I have ever listened to. It contains every trite cliche ever made and purports to be inspirational. I suppose it could be - to a turtle, perhaps. I’m going to learn how to return this book. What a disappointment! This audiobook is delivered speech style, much of it is in the form of declarations. It's not aimed to explain how motivation works or anything like that. It's more like a long motivational speech. I enjoyed listening to it on my morning commute to fire me up. If you take note of the declarations and integrate them into your life, you'll get results without a doubt. 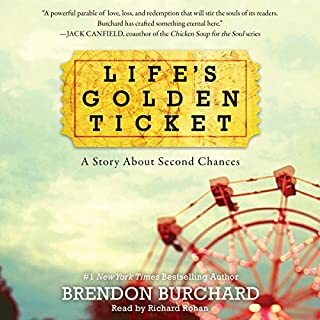 Brendon is a great motivational author and is a great narrator. You could really feel the passion in his voice as he delivered his own material. This is an audiobook I'll come back to whenever I need a pick-me-up. Written like an essay with such a strong determination to use the loftiest of language that any message is entirely lost. Grammatically it is a disaster and as an audio book it is an endurance test. It is written in the style of an address by Lincoln or Jefferson but without the quality, content or credibility. There's nothing in here to raise your motivation other than the strong motivation to turn this dribble off. I'm sure this book will be found as amazing by many. But to me, it was just far too preaching and repetitive. For sure we all need infusions of motivation from time to time. And this audiobook can provide such. However if we seek support and motivation from tired clichés, especially those that don't really have any substantive support, then the motivating force is weak, or we're allowing ourselves to be pushed along by lies and Pollyanna. In his reading of his own book, his verbal cadence (rhythmic flow of a sequence of sounds or words) is so stumbling and awkward that it actually detracts from the content and material. I've already read the book, accessed the online course and now have the audio version too! This is book I'd recommend to anyone wanting to push themselves in the right direction. A nice approach to fundamental principles. Keep up the good work Brendon! Its great that Brendon narrates his own brilliant work. The greatest in his field by far. I have never heard such a utter and complete load of meaningless rubbish. I bought this as was sold as 'the world number 1 motivational speaker' and had hoped for actual productivity and motivational techniques. I found myself wondering what this author has been smoking. Is actually just a rambling idealistic view of the world using a steady stream of random cliches and ridiculously flowery language. I wanted a book on How to Generate Motivation. What disappointed you about The Motivation Manifesto? Does not reflect the title, lots and lots and lots and lots of waffle . . . . .about . . .
Has The Motivation Manifesto put you off other books in this genre? Great if you can't get to sleep. Should have been titled "The Personal Freedom Manifesto"
What a book! It is easy to follow with clear distinct sections. I can only say listen to this book. It has a different take on many things you may have already come across. I listened to this so that you don't have to. I must say I was very dissapointed with this book, never have I heard so many statements that say so little. If I wanted to be preached to I would go to church. Pretty disappointed. Had hoped for motivation but it's just not engaging enough to inspire change. Very wordy and I found myself constantly checking to see how long I had to go before I finished. I just finished the entire audiobook and honestly cannot remember a single thing. Extremely unlike other books I have listened to in the same category. I expected so much more. It have changed my life, and will change yours! 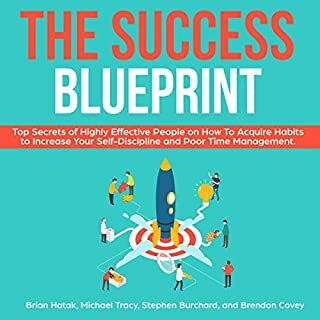 This book is NOT about motivation really, but rather about how to become the best person you could ever be, and live the best life you could ever live. will it inspire you deeply and motivate u? yes it will, but it deals with a lot more than just that! I've have had this book for about 3 year now and i have read it at least 4 times. First time i read it, i felt it was a very heavy and a dry book, every paragraph i had to read a couple of times to grasp what Brendon meant, it wasn't because it was poorly written but rather because the concepts in it at that time was compleatly alien to me, as at that time i was fresh into self improvement books. i remember first time i was reading it i had a sense of awe, i felt like a stumbled across a treasure full of so much truth that can change my life, and it did! Every extra time i would read it i would find it easier and easier to understand and absorb its principals, since i would have already applied some of it in my life. That is why i suggest not reading this book in one sitting, but rather read one chapter, apply it in your life then move to the next. otherwise u might get overwhelmed and disconnect from it. trying to absorb all that is in this book in one sitting it like someone reading a book about how to become a master in martial arts, he need to apply only a couple of moves at a time, practice and master them then he can proceed and apply a new set of moves, and although the book could be read in a sitting it would actually take years to learn and absorb all the moves. so is it the same with this book. it would take you years to absorb everything in it. it is full and dense with principles that will change your life. The closest thing i have read to this book would be 12 Rules for Life, by Jordan Peterson. the book is diverse in its contents and covers most areas of self improvement. - We shall reclaim our agenda. - We shall defeat our demons. - We shall advance with abandon. - We shall practice joy and gratitude. - We shall not break our integrity. - We shall inspire Greatness. - We shall amplify love. and i highly, highly recommend that u listen to it. i promise you will not regret it, if you absorb it slowly. 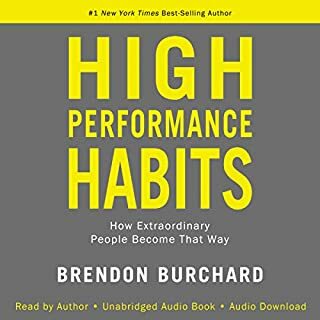 Another great book full of common sense put into actions - clarity as his signature, Brendon really gives us a precious book to get our stuff together, get clear with who we are, our values, what we want for ourself and others. He reminds us the true principles of life so often overlooked because simple. Brendon’s advices and guidelines are a gift we’d better apply today! Thank you for this great book- and audio book.